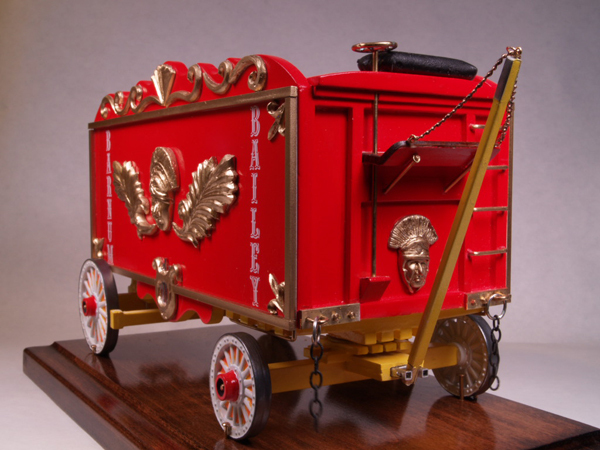 I have always been drawn to horse drawn vehicles, especially those with elaborate ornamentation, so in 2010 I researched, planned the design, and built a model from scratch. My circus bandwagon was built using ¼ inch hardwood plywood to a scale of ½ inch = 1ft. – 0 inches. 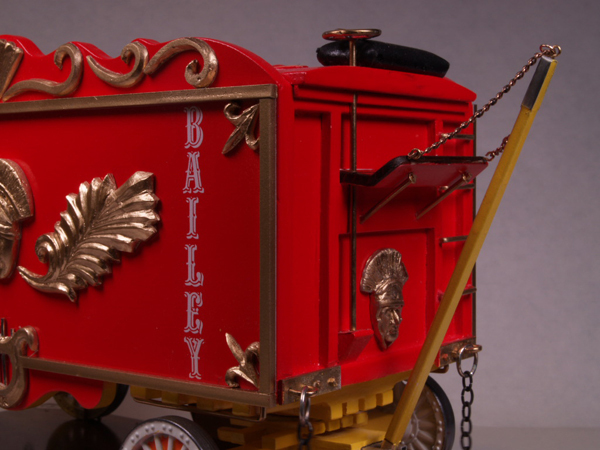 The decorative items on the wagon were first made from Sculpy clay or two part epoxy putty. 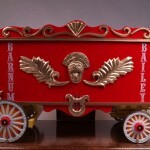 I chose the Trojan motif because it was my fantasy for a colorful replica. They were cast using rubber molds or Sculpy molds which I created. 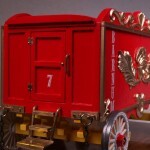 Finally, the wagon was spray painted using red Rust-oleum lacquer. All metal parts were constructed of brass. 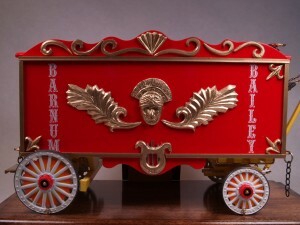 The wheels, which I decorated, were bought from on on-line dealer. Circus parades are traced to 1797. 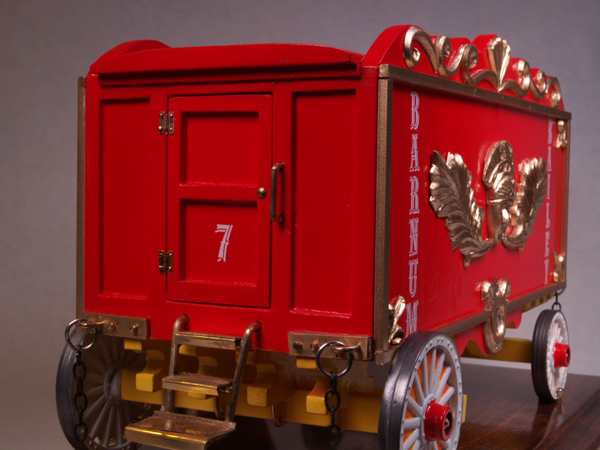 Tents were used for performances since 1825, and required sturdy baggage wagons to carry equipment to towns. I. Van Amburg paraded and promoted his show thru N. Y. City with a wagon of wooden carvings, fabric, and paint ornamentation in 1846. Circuses began to move equipment by railroad in 1872. The U.S Army in World War II studied the circus method of setting up and breaking down what amounted to a “small town” within a one day. 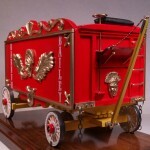 When cities grew larger, many circuses stopped staging street parades and circus wagons were mostly abandoned by 1930. 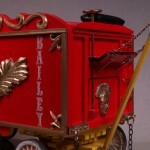 Fortunately, the Circus World Museum in Wisconsin have a collection of preserved wagon for all to see and enjoy!